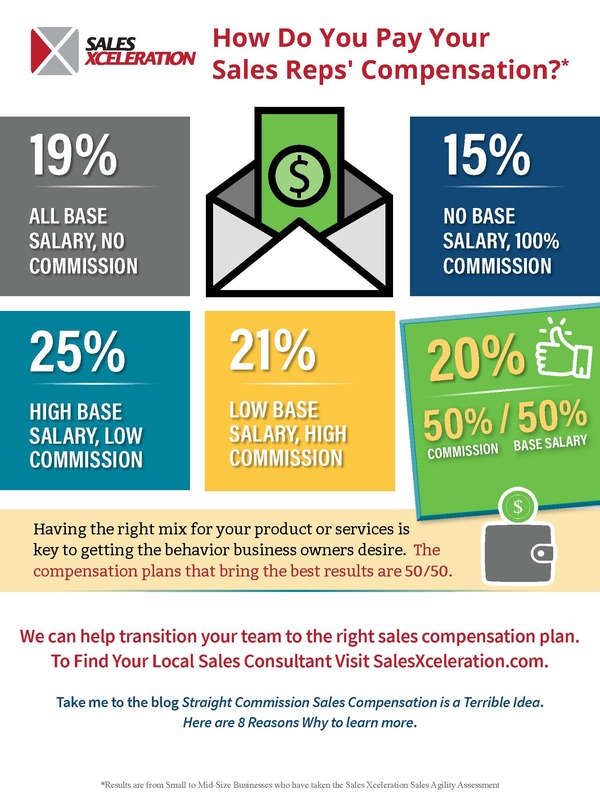 How Do You Pay Your Sales Reps’ Compensation? Having the right mix for your product or services is key to getting the behavior business owners desire. The compensation plans that bring the best results are 50/50. To find your local sales consultant visit SalesXceleration.com.